This Holiday Season make someone else feel special. Send them a Feel Good Holiday Package, filled with gentle, non-toxic Global Balance body care products which are good for people and the earth. Introduce a friend to the world of unscented, 100% fragrance-free, body care. These products are not easily found at your local health food store, therefore making them unique gifts. Global Balance Moisturizing Lotion 16 oz. Global Balance Facial Wash 8 oz. 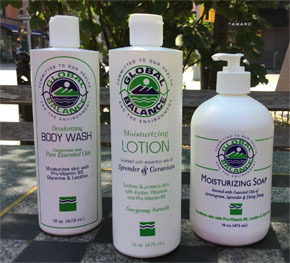 Global Balance Hand & Body Wash 16 oz. 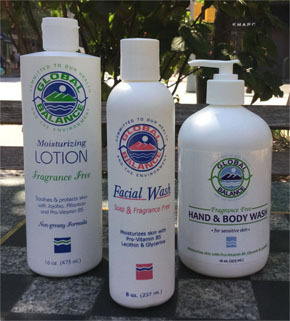 Introduce a friend to the world of Global Balance aromatic body care.